We are proud to cooperate with one of Norways biggest Helicopter Operators “Fonnafly” sind March 2019. All their pilots will be trained for their challenging daily routine at Fonnafly by us. Fonnafly confides in our long experience and expertise. They operate 14 helicopters. Among them AS350, EC120, H130 and A109. Their helicopters are used for power line inspections, external sling load operations and scenic flights. This mix is very interesting for our students as well. The best and most talented may apply for a job at Fonnafly with testimonial and will get a good chance for their first job in this industry. 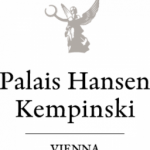 We are proud to cooperate with the famous Palais Hansen Kempnski since Jannuary 2019. Heritage-listed five-star-superior Palais Hansen Kempinski is located at Schottenring, right at the famous Ring Boulevard. Originally built as a hotel for the World Exhibition in 1873, this building captivates with contemporary design, modern architecture and luxury. Palais Hansen Kempinski provides 152 rooms and suites, two restaurants, two bars, a cigar lounge, seven conference rooms, a ballroom, a flower shop as well as the Ottoman-style Kempinski The Spa. We are proud to present the 1982 as “Knaus Helicopter GmbH” founded Heli Austria as our most valuable partner. Since 2016 we are responsible for their pilot trainings, type ratings and school programme. Since 2016 the ambitious aircraft manufacturer is our new partner at our base in Mindelheim-Mattsies. We are responsible for their pilot training programme on helicopters. Whether you want to spend your holiday here or come on bhttps://www.apartments-rooms-vienna.com/direction-location/#Ubahnusiness (e.g. conference, seminar): Fleger’s furnished apartments and holiday homes are ideal for a short stay or temporary accommodation. This is particularly attractive for business people because we offer you a solid base for your work and other activities. All apartments are fully equipped and for rent at attractive prices – the ideal starting point to learn to love Vienna. Fleger Appartements offers you pleasant and comfortable accommodation in Vienna.